LifeVac saved its 11th life saved! An 87-year-old gentleman who choked on chicken and bread in a care facility. LifeVac was used by Greek EMS in Lamia. 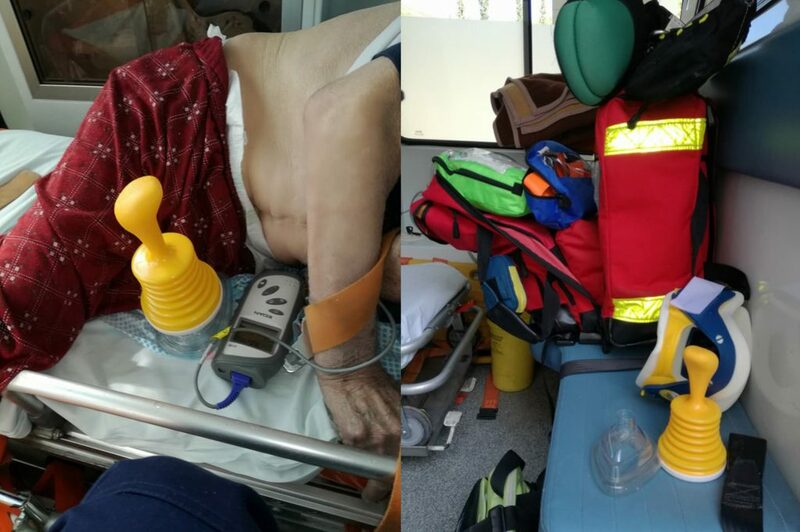 On the second application, LifeVac saved the gentleman’s life by dislodging the food bolus. The patient was then transferred to the hospital. This entry was posted in Saved Lives and tagged life saved.